The Les Plus Beaux Villages de France, or Most Beautiful Villages in France. These consists of 156 villages spread over 21 regions, that is a lot to choose from. Since there are over 32,000 villages in France this list might help you narrow down your dream French itinerary! We have included a couple of villages within our walking and cycling tours range. Let’s take a closer look at our ten favourites. Perched high on a 760m cliff and offering panoramic views over the Mediterranean and the extraordinary Gorges du Loup. On a clear day you may even spot the island of Corsica – is the extraordinary Gourdon. The medieval village is home to many craftspeople and some of the finest examples of well preserved and restored houses in France. 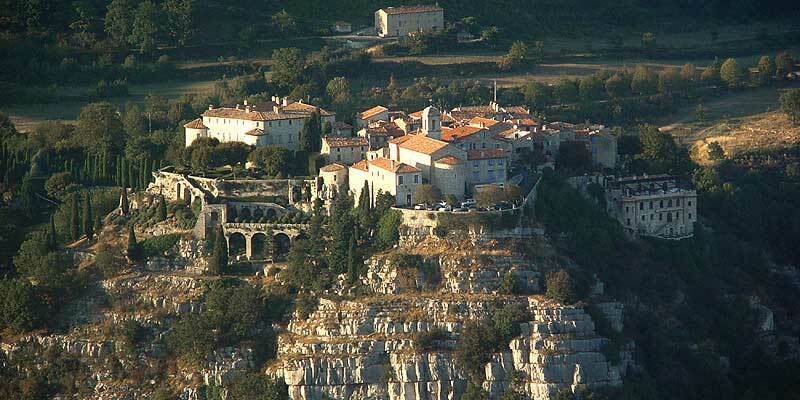 Visit Gourdon on our French Riviera on Foot. Completely restored in the last century, the village of Apremont served as a strategic point on the Allier River and its 12th century castle. It still has 5 of its original 12 towers, are a testament to its place in Loire Valley history. The delightful gardens which surround the castle were inspired by Vita Sackville-West’s landscaped garden in Sissinghurs. Visit Apremont-sur-Allier on our Loire Valley Bike & Barge. Nestled in lush green surroundings, the tiny village of Conques is a must-see highlight on the French Way of St James. A visit here will see you encounter the classic half timbered house architecture as well as the main attraction. Also a golden statue covered in gold and precious stones in the Romanesque UNESCO World Heritage listed abbey of Sainte Foy. 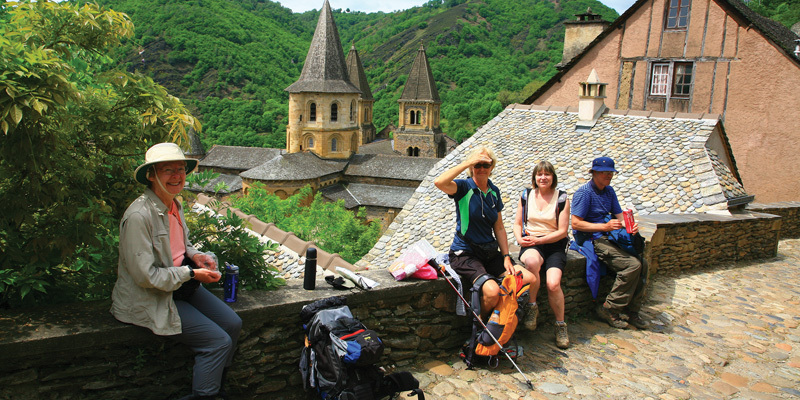 Discover Conques on one of our walks along the Way of St James. Head there on our Walking in the Dordogne or Historic Dordogne self guided cycle. Set in the heart of the Alpilles, the region that captivated the Dutch impressionist painter Vincent van Gogh, Les Baux-de-Provence is perched like an eagle’s nest boasting views across the Camargue. The town was owned by the Grimaldi family until 1790 and Prince Albert of Monaco still retains the honorary title of Marquess of Les Baux. Get there on our In Van Gogh’s Footsteps, Provence Backroads or Provence Bike and Boat. Over 800 years of history can be retraced in this walled village (bastide) sitting on the pilgrims route to Compostela in the French Basque region. Dotted with half timbered houses, the medieval village boasts typical red and white-fronted houses along its only street. Visit Ainhoa on our Basque Country Cycle. Lying in a picturesque setting at the foot of the Aubrac Mountains, Estaing’s name was derived from a family of Lords, one of which saved the life of King Philippe-Auguste in Bouvines who as a reward allowed the village to display the royal fleurs-de-lys on its coat of arms. Shale stone houses with “lauze” stone-slab roofs surround the dominating castle which dates back to the 12th century. 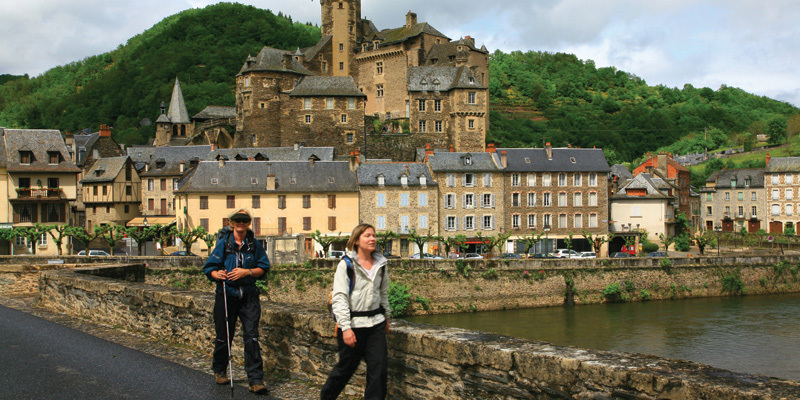 Visit Estaing on our Compostela Trail – Aumont to Conques. A former stronghold of the Harcourt family, Beuvron, in the heart of the Pays d’Auge country on Normandy’s famous Cider Route, is picture postcard perfect with its wonderful examples of half-timbered houses, market and country houses scattered around the stunning countryside. Get there on our Calvados and Cider Trails of Normandy self guided cycle. Corsica’s Piana sits at the entrance to of the red cliffs of the UNESCO World Heritage listed “Calanques de Piana” whose contrasting colours of red porphyry rocks against the backdrop of the Mediterranean Sea are simply spectacular. The narrow streets, amphitheatre arranged white houses and Italian style church of Sainte Marie ensure it is worthy of its place on this exclusive list. 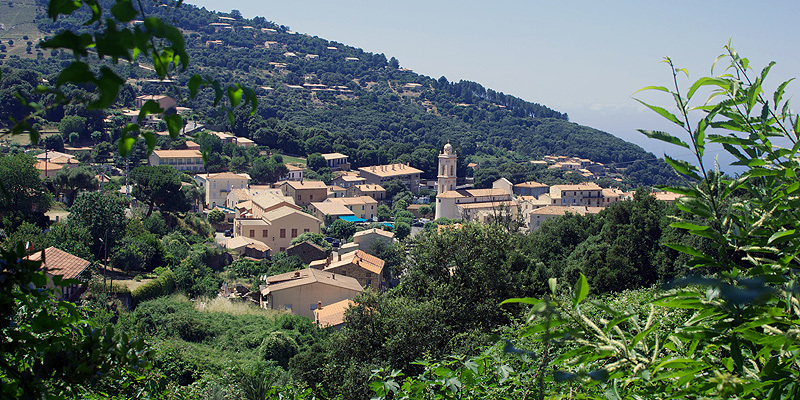 Visit Piana on our Crossing Corsica self guided walk. Alsace is full of fairy tale looking villages that should be on the list, such as Colmar and Turckheim. However there’s something special about Eguisheim, it’s regarded as the birthplace of wine-growing in the region. Plus the village’s concentric, cobblestone streets and 16th and 17th century houses featuring pointed roofs, bright colours and half-timbering has helped it to win national and European awards. Explore it on our Alsace Mountains and Vineyards self guided walk. 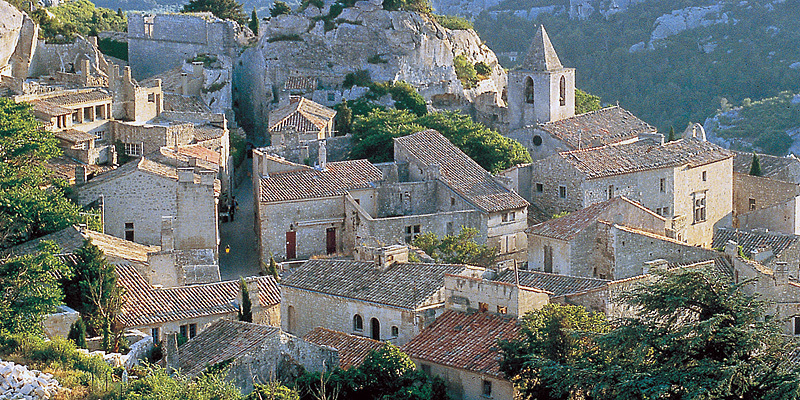 Want to discover some of the most beautiful villages in France in an active way? Find your next walking holiday in France here.